We use organic and non-GMO ingredients in the making of our products. Our cannabis is grown without chemicals or pesticides and infused with delicious coconut oil to craft our edibles. Nothing other than the purest ingredients are used from the farm to the kitchen to your mouth. Chocolate cups have always been good, but adding cannabis infused organic coconut oil? Next level. Not only does the gooey caramel, almond, or peanut butter, taste amazing, but the precisely dosed 40mg of THC delivers a wave of blissfully euphoric medicine. You'll be too relaxed to reach for the second one... even though you really, really, want it. Chocolate and peppermint. Two perfectly matched ingredients. Then along comes cannabis infused organic coconut oil and things really start to heat up. This beautiful trio is a love affair that takes things to another level... the one you're here for. If you like a certain nutty nougaty caramel chocolate bar that may or may not be available at your local convienience store... you're gonna love this. Not only is there gooey, crunchy, chocolaty awesomeness, there's also 50mg of precisely dosed THC. Small things can still pack a pretty sweet punch. Like this small thing. 10mg of precisely dosed THC delivered in a gooey, crunchy, chocolaty mouth punch. One bite is all it'll take to make this little monster your new best friend. Three kinds of luxurious chocolate truffles to help you class up the joint. Each box comes with two, if you feel like sharing, but we won't judge if you don't. 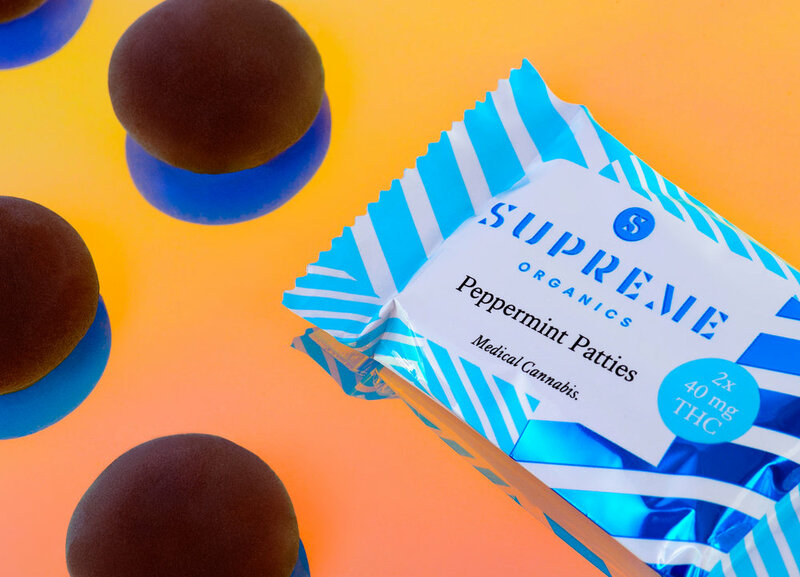 Plus each truffle is handcrafted with 20mg of precisely dosed THC, delivering a wave of blissful medicine. Have your butler pick you up some today. CONCORD GRAPE, STRAWBERRY, TANGERINE, LEMON. Four flavors for you to choose from. Or if you can't decide... just get the combo pack. We made it that simple. Whichever way you go... you're looking at 10 x 10mg of precisely dosed THC in a mouth-watering fruity chewy taste explosion. That fruity flavor comes from all natural fruit puree. It was either that or some weird fake flavor number thing. Easy choice. SOUR PEACH, SOUR WATERMELON, CHERRY COLA, ROOT BEER. 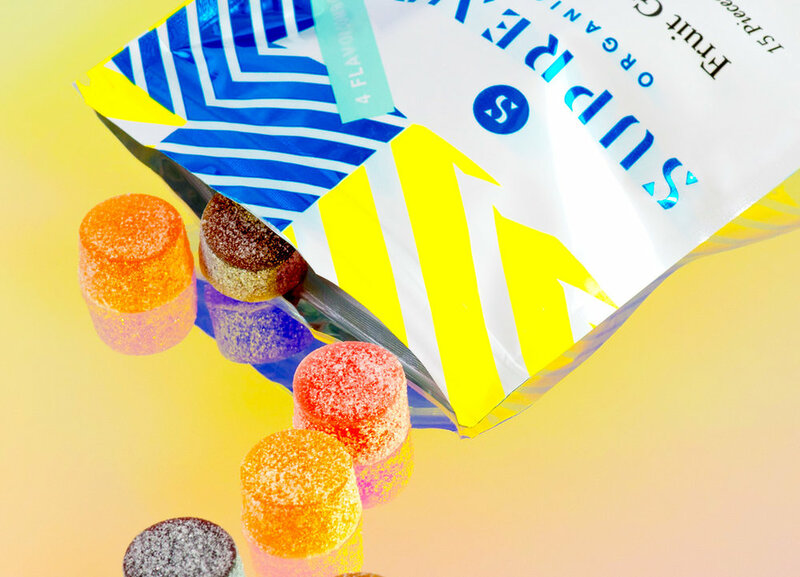 These little fruity gummies are like a secret weapon. They're small enough to be discreet, but when the time comes they unleash a very mellow and relaxing 10mg of precisely dosed THC. There's fifteen of them as it's always good to have a backup. Please remember, newcomers and veterans alike, edibles act differently, based on body chemistry, than smoking - so wait at least a couple of hours before even thinking about consuming any additional dosage. You don't want to over do it and end up in some Hunter Thompson fear state. Have fun. And always... smoke and consume responsibly.